John Huston has a diverse filmography, he’s probably most well-known for his more crowd-pleasing collaborations with Bogart-like The Maltese Falcon or The African Queen, but there are some serious oddities if you dig just a little deeper. Many of his films are kind of meandering, strange, and meditative. 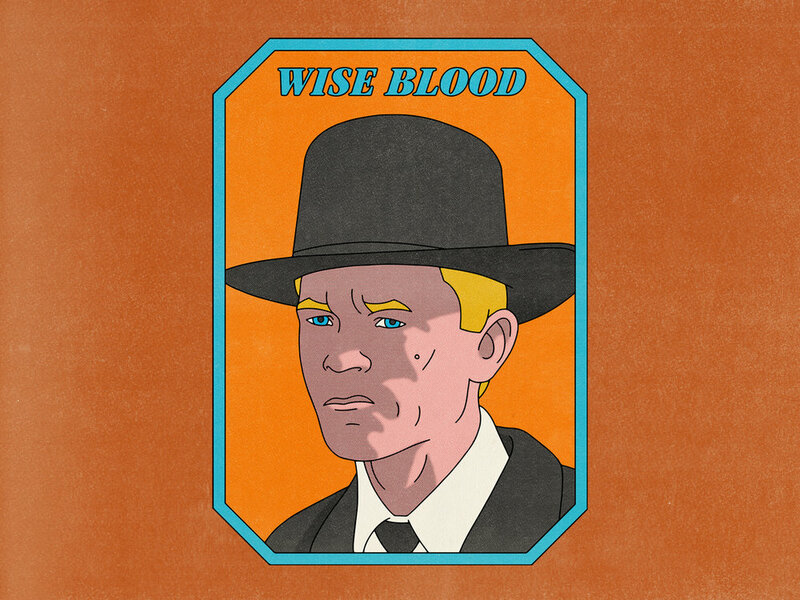 Wise Blood is distinctly John Huston with all his usual interests, but it’s so poetic and strange that it almost feels more like a David Lynch movie. Wise Blood took me by surprise when a man in a gorilla suit showed up to sucker the local townies out of their hard earned cash in a blunt comparison to Christian evangelicals. There isn’t too much to the story. Character Actor Brad Dourif stars as a young ambitious man who heads to a nearby city to start a career as a preacher of the “Church of no Christ”. This might be the only movie I can think of that Brad Dourif stars in and he is absolutely amazing. Sometimes when character actors get leading roles they fail to command the screen like a movie star, but Dourif owns every scene he's in. Wise Blood might frustrate some viewers who constantly want to know exactly what is going on, but if you can relax and let the story play out I think you will find a unique and fascinating movie full of wonderful performances by a talented cast.